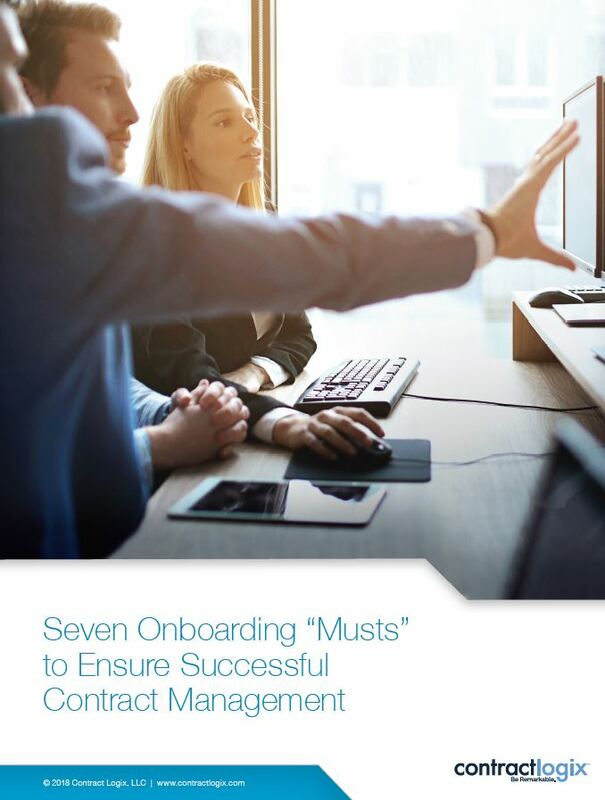 Seven Onboarding “Musts” to Ensure Successful Contract Management. After selecting a contract management software provider – and involving all the internal constituencies that would be impacted by that decision – you haven’t truly crossed the finish line until the solution has been adopted by your end-user community and is being used daily to effectively manage your contracting process. One of the most crucial factors to ensuring end-user adoption is a quick, smooth, and successful onboarding process.